The Security Module comprises of a hardware based target generator, which is able to create ghost targets. 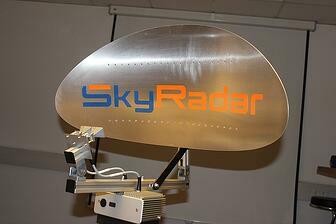 It is connected to a PC, where the SkyRadar Security Software generates disturbances and ghost targets. Supported by a configurator software, it serves as hardware jammer to create disturbances. The Security Module further includes Electronics Counter Counter Measure functionalities (ECCM). Various exercises can be conducted on the system to react on the multiple possible attack strategies through jammers and ghost targets.